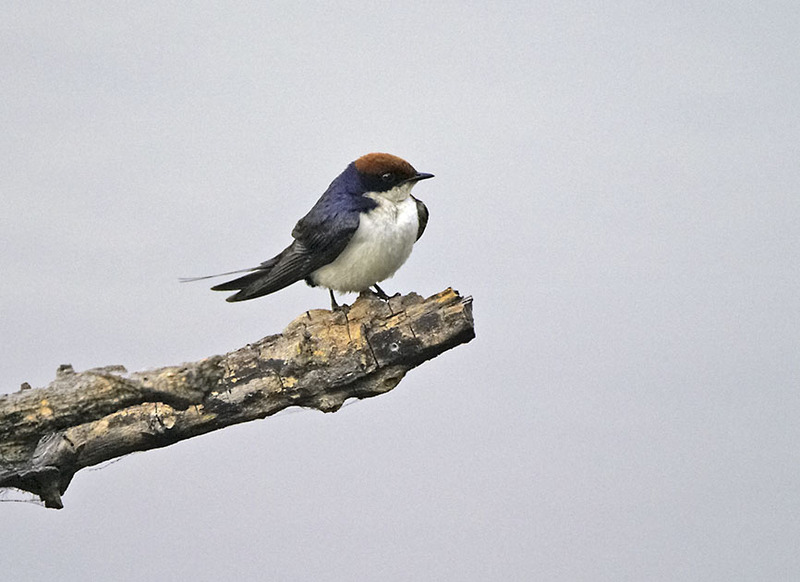 I wanted to get a shot of this little swallow on our last trip to Zambia, and didn't think I had. Going through some discarded files I have come across this, and realised I had got one after all! I know its not a great image but I'm just so happy to have captured a glimpse of this little beauty. When you think that a Barn Swallow weighs around 18 grams, and these tiny Wire Tailed Swallows only weigh 12 grams at best, you get an idea of just how small they are - even the twig it was sitting on looks like a tree. Please click for better view. 10D. 500F4. ISO 400. F5.6. Cute little Swallow. Good thing you find it in discarded files. Lovely shot of this cute swallow. a simple but well taken shot and I'm glad that you came back with at lease one image, great stuff CAROL. Very good tropical bird image with reasonable detail, pleasing pause and perch. Carol, excellent capture of this tiny beauty. I love the color and markings — it’s a beautiful image. Glad you found this lost treasure. What an attractive Swallow, one I have never seen. Great looking swallow and an excellent image of it. I'm glad that you found it, Carol. There are treasures in those old file directories sometimes. What fun to not only find something you didn't think you had, but then to revive it. Sweet little swallow and lovely shot! So glad you dug this one up!